Carlos Beltran, 36, is ready to put on the Yankees pinstripes. The New York Yankees will be fine without Robinson Cano and Curtis Granderson. Hours after Cano reportedly agreed to a 10-year, $240 million deal with the Seattle Mariners, the New York Daily News’ Mark Feinsand reported the Yankees agreed to a three-year, $45 million deal with outfielder Carlos Beltran. The Yankees will be Beltran’s sixth team in 17 years. After finally making it to the World Series this past fall with the St. Louis Cardinals, Beltran returns to the American League where he started. The 36-year-old slugger began his career with the Kansas City Royals, winning the AL Rookie of the Year award in 1999. He played five full seasons with KC before being dealt to Houston days in front of the 2004 trade deadline. In 2005, Beltran signed a free-agent deal with the New York Mets. 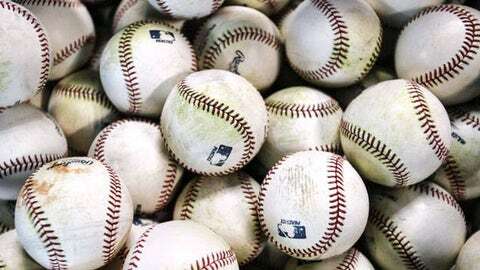 He played 5½ seasons with New York before a 2011 trade deadline deal to the San Francisco Giants. In 2012, he agreed to a two-year, $26 million deal with the Cardinals. Beltran is an eight-time All-Star with three Gold Gloves and two Silver Sluggers. He’s a career .283 hitter with 358 homers and 1,327 RBI. 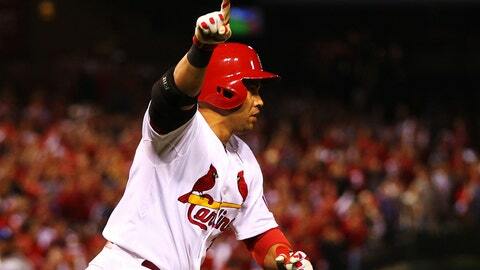 The Cardinals made a one-year, $14.1 million qualifying offer to Beltran but never expected him to return next season. Beltran topped 600 plate appearances both seasons with the Cardinals, needing just occasional rest for his surgically repaired knees. He batted .296 with 24 homers and 84 RBI this past year and had several big hits in the postseason, too. But the outfield was crowded with Matt Adams expected to be the everyday first baseman and cleanup man Allen Craig moving to right field. Top prospect Oscar Taveras also figures to be in the mix. At the top of the Cards’ offseason wish list is an offensive upgrade at shortstop over the slick-fielding, light-hitting combo of Pete Kozma and Daniel Descalso. The Cardinals expect to hear from teams interested in their prospects.